Christian parents. While she was still young her mother, father, and siblings were martyred for the faith. In 1624 she became acquainted with two Augustinians, members of the Recollect Congregation, Francis of Jesus and Vincent of Saint Anthony, and was attracted by their deep spirituality. She became an Augustinian tertiary, teaching catechism to the young, seeking alms for the poor, encouraging her people in times of persecution. When these two friars were martyred, she placed herself under the spiritual guidance of two other Augustinians who eventually also received the crown of martyrdom. In 1629 she sought refuge in the hills of Nagasaki, sharing the sufferings of her fellow Christians, baptizing the young and visiting the sick. Because many Christians were renouncing their faith in the face of torture, she decided to encourage them through her own acceptance of persecution. In September 1634, dressed in the habit of a tertiary, she turned herself in to the anti-Christian civil authorities. In October of that same year she was subjected to the torture of the pit for 13 days. On the last day the pit was filled with water and she was drowned. Her body was burned and her ashes were dispersed to prevent the Christians from having any relics of her. Magdalene was beatified in 1981 and canonized by John Paul II on October 18, 1987. There is no greater love than to lay down one’s life for one’s friends. Saint Magdalene followed the example of Jesus by accepting physical suffering in order to strengthen the spiritual resolve of her fellow Christians. She is a convincing example of a young person totally devoted to the Gospel and the service of others, whose love for God and neighbor knew no limit. The city is flooded with people. Souvenirs such as t-shirts, bags, and necklaces are just among the many things one can buy on the sides of the main streets of the city. A few days from now, Surigao will celebrate its feast in honor of St. Nicholas of Tolentine. But, amidst all these festivities who is this saint whom the city is celebrating? It was more than seven centuries ago in 1245 when St. Nicholas was born in the village of Sant’ Angelo in Pontano, Italy to Compagnone da Guarutti and Amata da Guidani. His parents considered his birth a gift through the intercession of St. Nicholas of Bari and so he was named after him. Brought up with a Christian education, Nicholas grew up as a pious young boy. A great historian of the Augustinian order, Jordan of Saxony has this to say about the piety of the young Nicholas. “At the age of seven he began to fast on three days of the week, thus imitating his most devoted patron Nicholas who right from the time he left his mother’s breast used to abstain on Mondays, Wednesdays and Fridays. The fact that he was a child did not bother him, for he practiced the abstinence proper to an old man beyond what was normal at his age.” Molded by his family to a life of virtue, it is no wonder that Nicholas grew and became a man of compassion and charity. Even as a young man, Nicholas decided to continue living his life of holiness with the Augustinians after he was greatly moved by the preaching of the Augustinian Fr. Reginaldo di Monterrubbiano, prior of the community in Sant’ Angelo. He professed his religious vows at the age of sixteen years old in 1261, a few years after the foundation of a new order, that of the Hermits of St. Augustine. At the outset of his religious life, Nicholas was an outstanding religious. He practiced his religious life intensely even beyond the requirements of the order. Jordan of Saxony narrates, “The saintly Brother Nicholas of Tolentino performed many works beyond the strict call of duty in addition to the common abstinences and fasts of the Order. For thirty years he never ate meat, eggs, fish or any rich food, and neither when in health nor in sickness was he found to have eaten milk dishes or fruit.” Nicholas was very faithful and observant of his rigid prayer and intense work of penance that at times his superiors would impose limitations on him. A story was told about a roasted partridge placed beside him, but Nicholas refused to taste it. However, his prior ordered him to put out his hand and taste it. By virtue of obedience he lifted his eyes to heaven, made the sign of the cross and put his hand on the partridge. The roasted partridge came back to life and flew away. Every time we see a partridge on the icons and statues of St. Nicholas, we are reminded of this story. Due to the severity of his fasts and unrestricted diet, Nicholas suffered frequent bodily pains, “chief among which were pains in his joints, stomach cramps, headaches, and a clouding of his vision…” One time Nicholas was so weak that the glorious Virgin and Saint Augustine appeared to him in a vision and the virgin advised him to get some fresh bread, dip it in water and eat to regain his health. After following what the virgin said, Nicholas regained his health and followed this practice in his apostolate to the sick. From this miracle started the custom of blessing and distributing of the “Bread of St. Nicholas” which is still practiced by Augustinians in many places today. 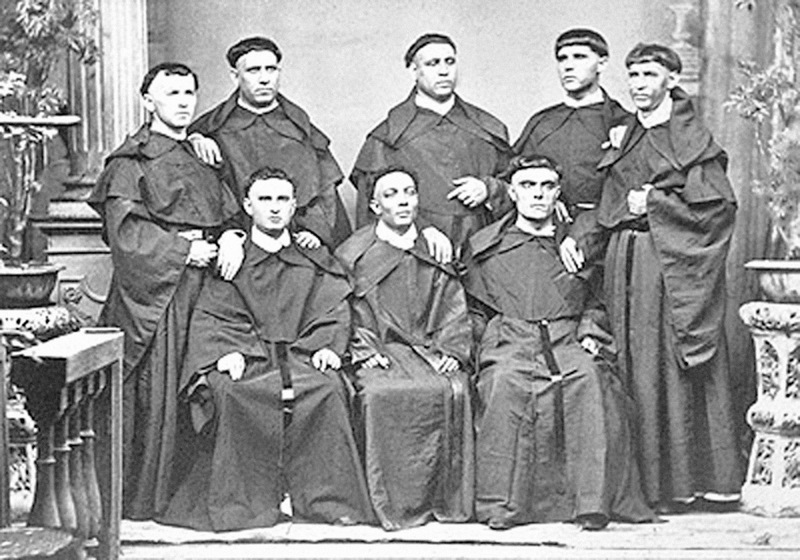 Alongside with his strict observance of poverty and fasting, he finished all his studies perhaps at Tolentino and had pastoral and conventual experiences in various convents. And after finishing his requirements, the Franciscan saint Benvenuto from Osimo ordained Nicholas in Cingoli probably in 1273 (or 1274 or 1271). After serving briefly in Cingoli and other houses of his order, he went to Tolentino and remained there for the rest of his life. Amidst the decline of morality and religion in the developing city of Tolentino, Nicholas remained an authentic witness of Christ. He engaged in daily preaching and reached out to the poor and the sick. Jordan of Saxony tells us about the great brotherly love of St. Nicholas: “To the sorrowful he was joy, to the afflicted, comfort, to the divided peace, to those who toiled, refreshment; to the poor relief; to the captives and the sick, a powerful remedy.” Edified by the holiness of Nicholas, many people went to the monastery of Tolentino to seek his counsel, listen to his preaching and ask his intercession. It is believed that the holiness of Nicholas can even win souls from purgatory. In his work, Life of the Brethren, Jordan writes about the story of a brother in purgatory who asked the prayers of Nicholas. “Once however he was appointed to say the conventual mass for the week, and on Sunday night as he was resting in bed a soul called to him, with a loud and wretched moan: Brother Nicholas, man of God, look at me.” Nicholas did not recognize him and asked the soul to identify himself. I am the soul of Brother Peregrine of Auxime, he said, ‘whom you knew as your servant when alive. Now however I am being tortured in these flames to which God in his mercy has consigned me not for the eternal punishment which I deserved but for a temporal punishment. Therefore I humbly beseech you to celebrate mass today for the dead, that I may be rescued from these flames. Nicholas gave his spirit to his Creator on the 10th of September. Just as he did miracles during his life time, multiple miracles and wonders were performed through his merits. In 1446, Pope Eugene IV canonized Nicholas, the first saint after the Grand Union of the Order of St. Augustine in 1256. Through the centuries, the devotion to this saint spread far across the continents. It was during the sixteenth and seventeenth centuries that Augustinians and Augustinian Recollects brought this priceless devotion to the Philippines. So far there are forty-one parishes and four cathedrals dedicated to the patronage of St. Nicholas of Tolentine. It is interesting to know that the cathedral in Surigao is the oldest Cathedral dedicated to this saint. As we celebrate his feast, may we also emulate his great love for God and others in our love and concern to the people around us. Viva Senor San Nicolas de Tolentino! Jordan of Saxony, The Life of the Brethren, (Villanova: Augustinian Press, 1993), 383. Emmanuel Luis A. Romanillos in Saint Nicholas of Tolentino (1245-1305) Man of God, Mystic and Thaumaturge. 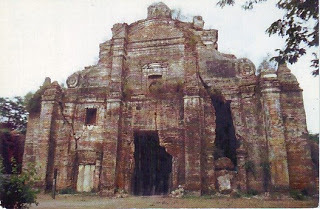 There are four cathedrals in the Philippines dedicated to the patronage of St. Nicholas of Tolentine. They are the cathedrals in Mati, Davao Oriental (1984); Tandag, Surigao del Sur (1978); Cabanatuan City, Nueva Ecija (1963) and Surigao City, Surigao del Norte (1939). This article was originally posted in http://jacklunaosa.blogspot.com/, the author’s blog. The consent and permission of the author is fully acknowledged. Fr. Williener Jack Luna, OSA is an Augustinian priest from the Province of Sto. 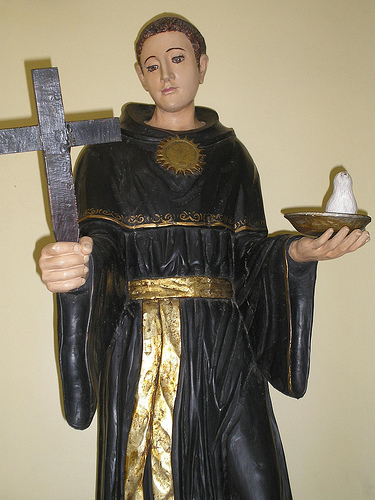 Niño de Cebu – Philippines. At the time of this post, he is assigned in Australia to help the Australian Augustinians in their various missions.